Pramodz computers offers the best infrastructure with advanced tools in each class and entire spectrum of animation education by experts who have the experience on the cutting edge technologies and techniques . We have established for 3 D animation course in Mumbai , several computer labs , and studios for giving training on live- projects to students . All faculty members have deep industry experience of many years . They also go through regular improvement courses to understand the latest changes taking place in the animation field . The 3 D animation course in Mumbai is designed for those who have strong desire to become the successful animators of the animation industry . Our 3 D animation course comprises specialized technical and artistic training . We expose our students to various animation softwares such as auto desk , Maya , 3ds max , adobe after effects , fusion , mocha , mudbox etc . The 3 D animation course has been designed by our experts to match the demand of the industry and incorporate all software and skills that are needed by company from animators . Our systematic approach to the study and knowledge helps our students to master the software skills easily . Our stress on hands- on experience and practical aspect ensures that students are familiar with the skills that help them to become the much sought after professionals in the animation industry . 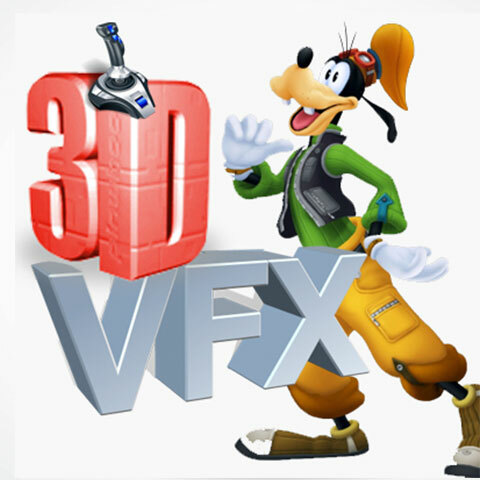 The 3 D animation course will equip students to create and animate 3 D products and objects. The course will help students to master 3 D modeling , lighting , texturing , animation , and rendering . The 3 D animation course is divided into carefully designed modules to impart related knowledge from basic to advanced to the student with practice and work on projects . In 3 D animation course , the students will know how to produce the high quality exterior and interior elevations and views after mastering major features of the 3d rendering software . At the end of the module one in the 3 D animation course , the students will be able to incorporate rendering in the existing and new work . In the module second of the 3 D animation course , students will get the training on clay modeling , animation , rigging and dynamic and particle system . And also the workflows of Maya and mudbox . The entire course in 3 D animation in Mumbai in based on live hands- on experience , revisions , classes and projects .